Microsoft is getting serious about its educational product offerings. 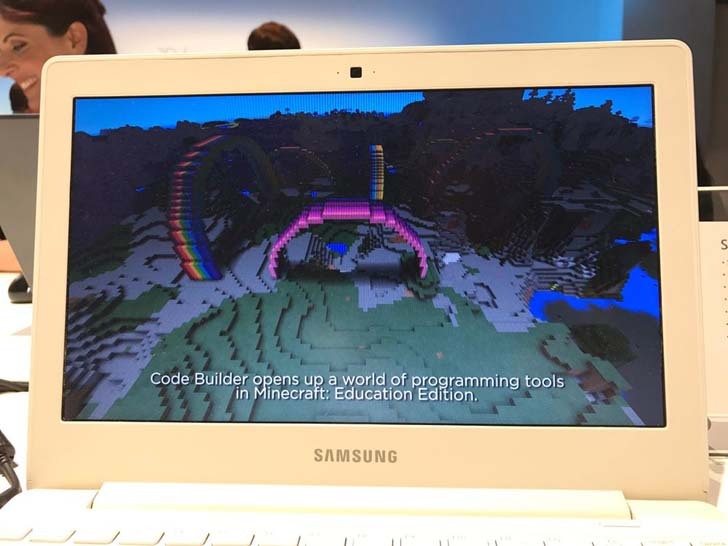 Today, at an event in New York City, the company showed off its multifaceted plan—including STEM programs, a student-oriented laptop, and the Windows 10 S operating system—to get into more classrooms. [post_ads]Simplicity, security, and price have made Google-powered Chromebooks extremely popular in schools, so Microsoft designed its new OS, Windows 10 S, to compete on those fronts. The interface looks like the typical version of Windows 10, but it will only run apps that are available from the Microsoft App Store. The benefit, Microsoft says, is a controlled environment that's more secure and allows for maximum battery life and better hardware performance. Microsoft says the machines will be easier to manage on a school-wide level thanks to some more robust administrator tools. There’s also a tighter integration of the Teams features, which allows students to chat in a variety of group arrangements. And, while the limitations on apps might feel restrictive to average users, it can be a benefit for helping students who might otherwise ignore their studies altogether to play emulated Nintendo games. According to Microsoft, the Windows 10 S powered devices will start at $189 and will come from partners like Toshiba, Dell, Acer, and Samsung. There will be an upgrade path to the Pro edition of Windows if users need apps that aren't available from the Microsoft App Store. The Microsoft Surface Laptop has a touchscreen display, but it's not detachable like with the Surface Book Pro. 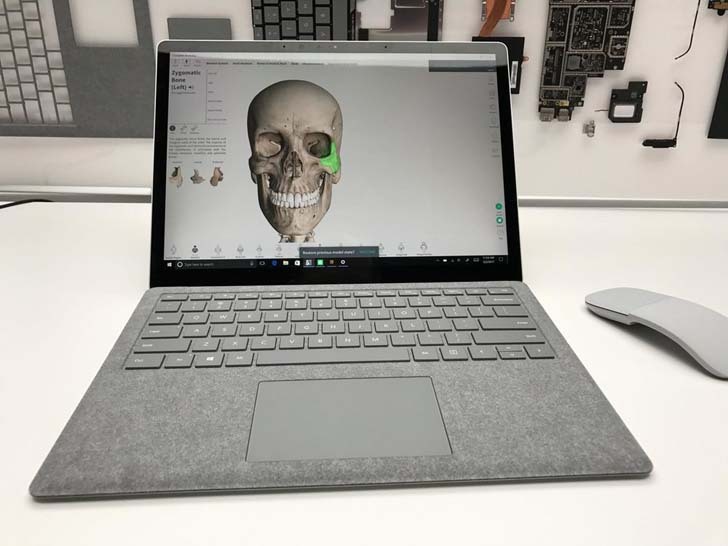 While most of the talk at the Microsoft Education event was geared toward high school and younger, the company also announced its new Surface Laptop, which is clearly aimed at the college market. It weighs 2.76 pounds and has a 13.5-inch screen with a 3:2 aspect ratio. According to Microsoft, it’s the thinnest LCD touch module ever put into a laptop. It has a single USB port, an SD card slot, a display port, and a headphone jack, but it's also compatible with the Surface Dock for power users who need more connections. Microsoft spent a lot of time talking about the experience and feel of the laptop and for good reason. It feels like a high-end machine when you're using it. The laptop is covered in fabric to help obscure technical bits like the hinge—this all leads of an overall feeling of a MacBook Air with a bit of fine shag carpeting. It comes with Core i5 or Core i7 processors with SSD storage to reduce battery consumption and push promised lifespan to 14.5 hours. This extended battery life narrative also applies to Windows 10 S devices, underscoring the idea that kids shouldn’t need to charge a machine during—or even after—school. Core i5 models start at $999 and are available for pre-order right now to start shipping on June 15th. Windows 10 View Mixed Reality[post_ads]Microsoft is building an augmented-reality viewing tool right into Windows 10. It works with integrated cameras like those you’ll find on tablets or laptops, but can also work using an aftermarket webcam. The demo showed the hosts standing next to a virtual model of the Mars rover to get a sense of scale. Because the tech is built into the OS, it’s meant to provide a more-consistent AR experience than you would get with an assortment of third-party technologies. 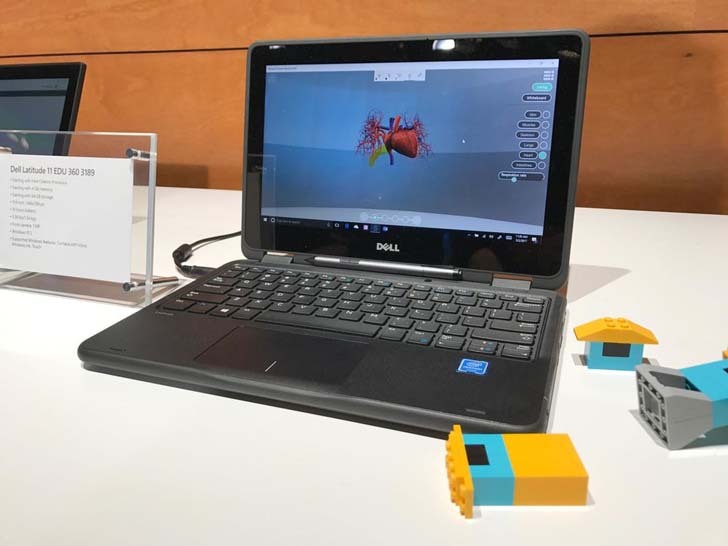 It also builds upon the 3D Draw tech that Microsoft first unveiled in the Windows 10 Creator’s Update. That means you don’t have to use the Mars rover, instead you can draw a wacky cactus and bring it to live in the same way. Microsoft keeps with the theme of being able to look "through" technology, whether virtually with tech like this, or literally with the transparent screens built into its more advanced HoloLens system. By tracking game data in Excel, this robot hand learns how to beat human opponents in Rock, Paper, Scissors. The Office 365 news was splattered across the entire presentation, but it’s clear Microsoft hopes to make Office a more-integrated part of the student experience, at least beyond word processing and simple spreadsheets. 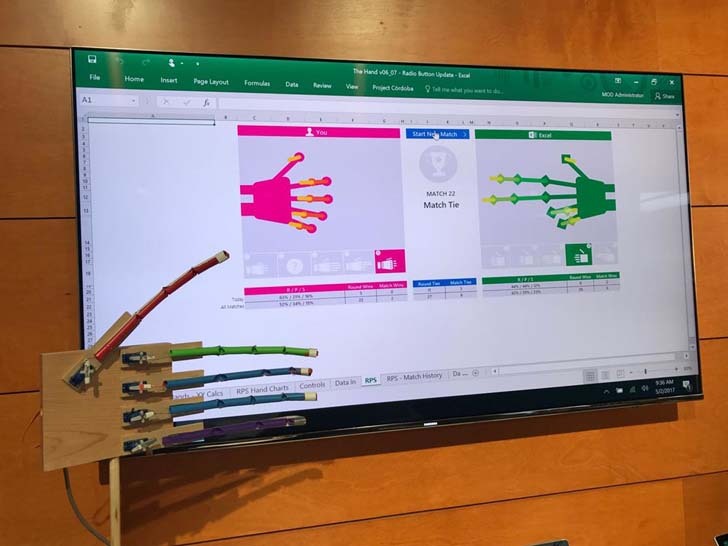 One standout demo features a project from Microsoft's Hacking STEM school curriculum in which a glove-like controller funneled data through Excel so it could be transmitted to a robotic hand made of straws and cheap thread. Another similar hand was using Excel to track and analyze games of Rock, Paper, Scissors so it could learn to beat human opponents. While none of this is new today, it’s clear that Microsoft is emphasizing its software capabilities beyond typical office tasks. There's also a revamped Teams function to go along with Windows 10 S, which allows for more-granular control over groups as well as more-tightly integrated collaboration. Microsoft clearly envisions classrooms full of children grouping up and actually building stuff using its platform. Windows 10 S devices will include a year of Office for Education service. Ultimately, this is an aggressive move by Microsoft into an education market that’s already crowded with Google products and iPads. In 2016, it was reported that Chromebooks had a 49% share of computing devices in US classrooms, with iPads taking up another significant chunk. That's a tall mountain for Microsoft to climb, but the reward could be substantial if it can bring kids into its technology ecosystem at a young age and keep them around until they have the cash to spend on a Surface laptop.